The Unibloc gear pump is a simpler and more cost effective version of the Unibloc Lobe pump using only a single seal and designed for simplicity strip-down cleaning. 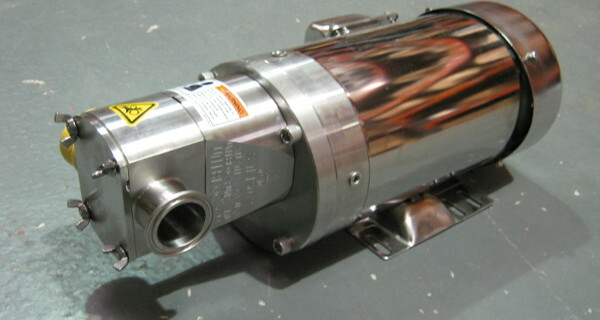 It is ideal for OEM’s as a feed pump for low to medium viscosity products.. It is ideal for OEM’s as a feed pump for low to medium viscosity products on filling machines, spray application on conveyors for fats, syrups and egg glaze. It is a reliable aid in the confectionery and bakery sectors where production is almost 24/7 and margins are tight. Gear pumps are also an effective production aid in other hygienic process systems including pharmaceuticals, household, toiletries and brewing. When you need reliability on your production line you can install Unibloc with confidence to tackle the difficult jobs so you can get on with the impossible ones. The gears and pump casing are designed to allow for very high pressures and the ability to pump very thick, viscous fluids.